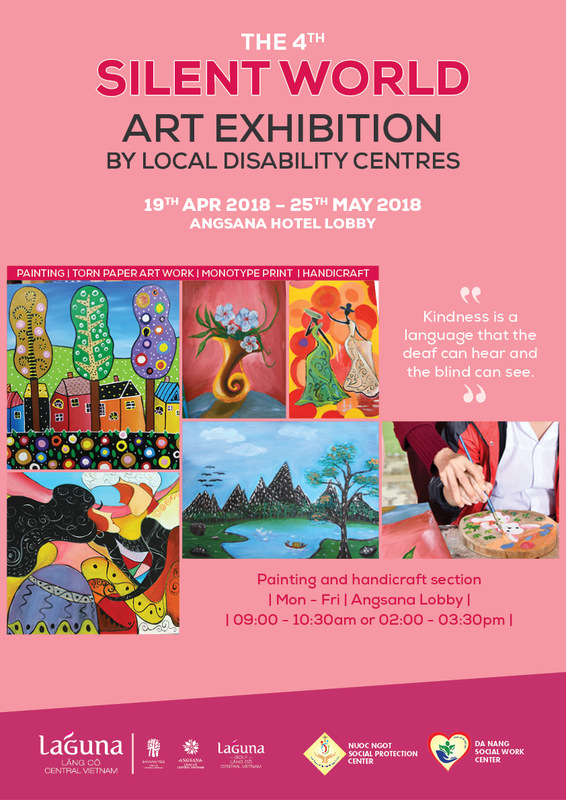 Silent World Art Exhibition was annually launched since 2015 with the aim to help local disabled young artists reach out to the world and build up their hidden art talents through art therapy classes. Laguna Lang Co is delighted to continue our 4th Silent World Art Exhibition 2018 with the participation of guests, staff and young artists. During this period, our artists had great time sharing their paintings and making new artworks. More than 70 watercolor paintings, wooden artworks, torn paper artworks and 100 dream catchers, bracelets, key fobs, aprons and wallets were sold. 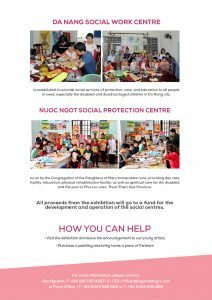 A total of VND 32.490.000 = USD 1432 was raised and sent to Da Nang Social Centre and Nuoc Ngot Social Protection Centre in 2018. Welcomed 416 guests for the “Art and Handicraft session” with our children. Laguna Lăng Cô is delighted to have support from both hotel guests and associates in either purchasing or visiting to leave a message for encouraging our young artists. 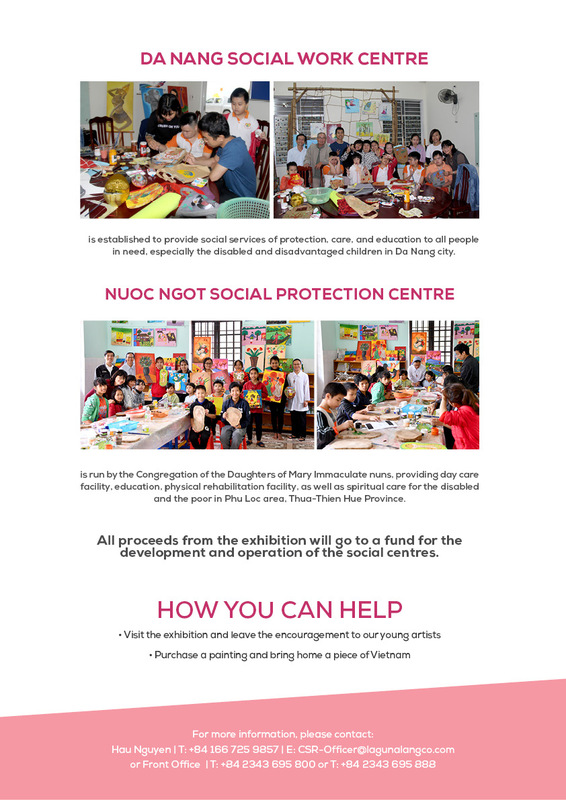 All proceed were sent directly to Da Nang Social Center and Nuoc Ngot Social Center for their operations and support the young artists. More than 50 artworks (paintings / monotype / torn paper) and around 150 pieces of handicraft (bracelets / key fobs / aprons) were sold. A total of 31.095.000 VND, equivalent to 1400 USD were raised and sent to two centers. 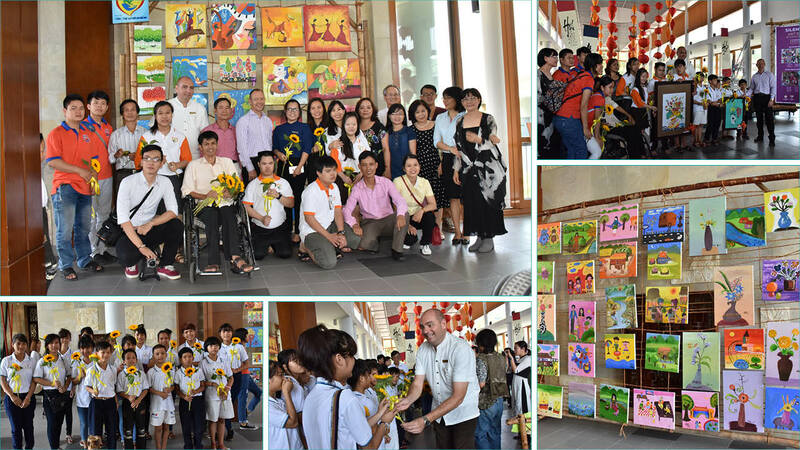 Nearly 100 artworks including paintings, calligraphy, torn paper artworks, and paper fans made by disabled youths from local social centres in Da Nang city and Phu Loc district were showcase. 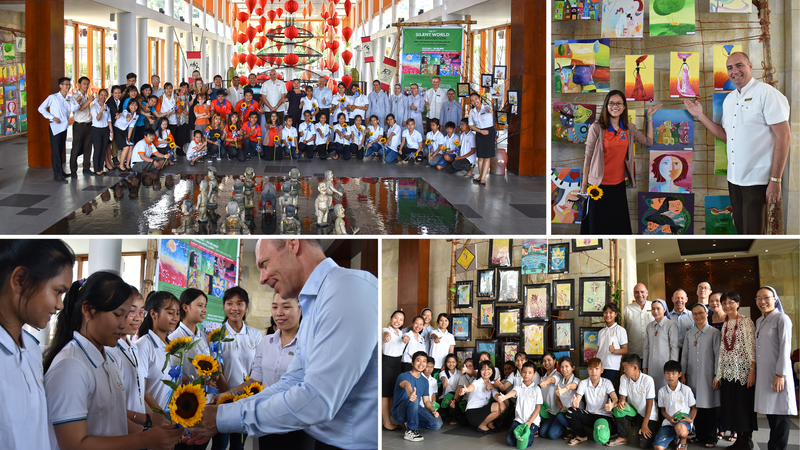 With the support from local artist Du Du and Laguna Lăng Cô, the art classes and exhibition aim to develop further in the coming years, making it a memorable annual project for young talents at the local social centres. 53 paintings / torn paper artworks and 60 pieces of bracelets / paper fans were sold. Total proceeds of VND 27,410,000 were sent to Da Nang Social Centre and Nuoc Ngot Social Centre in 2015-2016. The exhibition showcased over 50 paintings and calligraphy pieces by 12 deaf and disabled young adults. 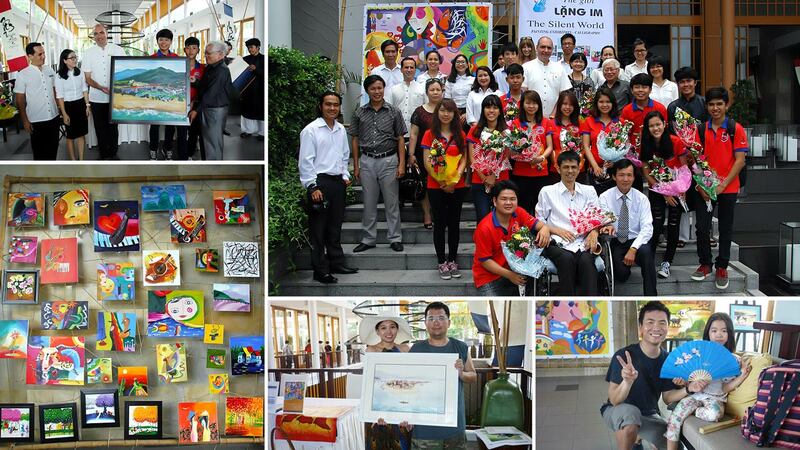 All artworks were available for purchase and guests could support these local young adults by bringing home a piece of Vietnam.